I (like I think most others) was terrified of making Macaroons for the first time. Would they grow feet? Would they crack? Would it just be a complete and total failure? 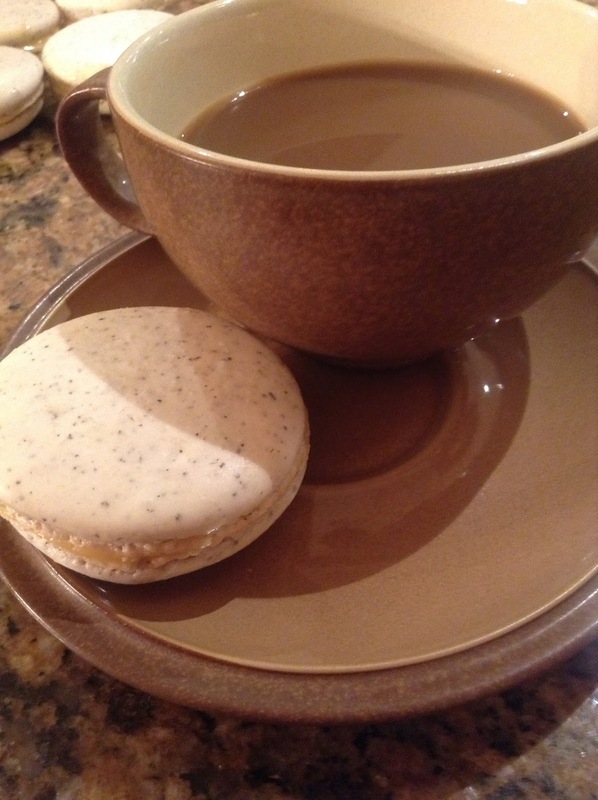 I have read a ton of different bloggers posts on making macaroons - the successes and the failures. I read tips and tricks. I read all the different trouble shooting. In theory I could make the perfect macaroon I just had to work up the courage to try. 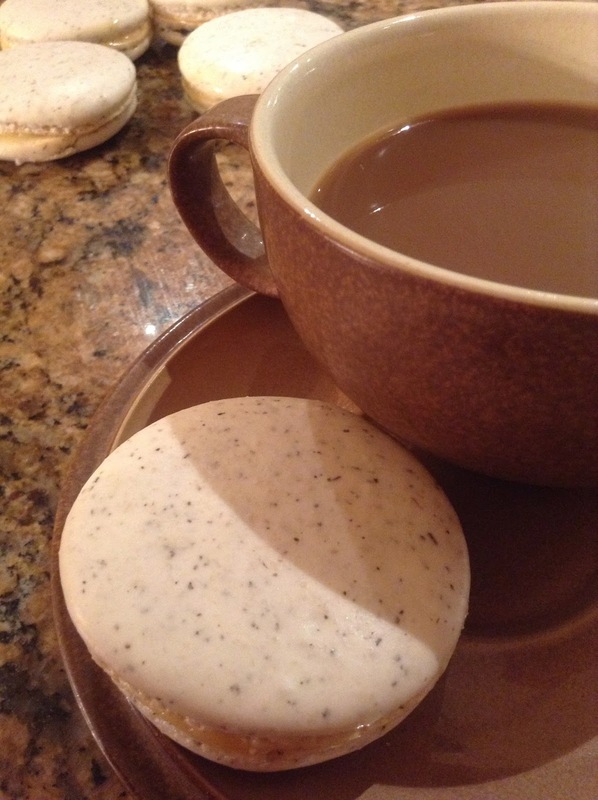 Then one day on Facebook of all places I saw my friend had posted a photo of the earl grey macaroons that she had made. They looked perfect. I thought to myself "I know her! She made them! They worked out! If she can do it, I can do it!" So I messaged her for her recipe. She directed me to this youtube video. I watched it twice and checked out the blog that it links to with the reciepe before I started. I was thrilled that it gave the measurements in cups and not grams. I don't have a food scale yet (future investment for sure) and it seemed simple enough. So I set off to make my own. Which as you all have probably guessed from my photos they turned out! I would encourage everyone to try and make these delicious treats. The video is great at explaining things step by step and so far everyone I know who has tried this recipe has had great results. What is your Macaroon experience? Do you have a favourite recipe you would be willing to share?